The United States Congress designated the Gospel – Hump Wilderness in 1978 under the Endangered American Wilderness Act. 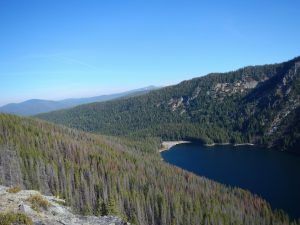 The Selway – Bitterroot Wilderness is located to the northeast of this area and the Frank Church – River of No Return Wilderness lies just to its south and east. The entire southern boundary of the Gospel – Hump Wilderness borders the Wild & Scenic Main Fork of the Salmon River. The area has a total of 205,796 acres and is managed by the Forest Service. The northern portion of the Wilderness is moist and heavily forested country, with numerous fresh-water streams and sub-alpine lakes. The southern portion is steep and sparsely vegetated, particularly along the Salmon River Breaks. The northern and southern areas are separated by a rugged, glaciated divide, which contains the peaks (Gospel Hill and Buffalo Hump), for which the Wilderness is named. Elevations range from 1,970 feet at the Wind River pack bridge on the Salmon River to 8,940 feet at the summit of Buffalo Hump. Weather patterns vary and can be very unpredictable depending on your location. Temperatures can soar to 100 degrees Fahrenheit along the Salmon River, while rain and snow falls in the high country. Moose, mountain goats, bighorn sheep, mountain lions, wolves, and anadromous fish all make their home here. Wild steelhead and Chinook salmon still make their annual migration up the Main Fork of the Salmon. Seasonal roads of fair-to-poor quality surround the Wilderness, and are often impassable due to late snows. Some of these roads offer access to trails that lead from the Salmon River Breaks into the high country, which many hikers would classify as very challenging. Some choose to head southeast from Grangeville, while others access the area from the South Fork of the Clearwater drainage to the north. Stewardship of the Gospel – Hump Wilderness needs to improve. Unlike the Selway – Bitterroot Wilderness, domestic livestock graze the Wilderness and are causing resource damage. The Forest Service should retire these grazing allotments as soon as possible so that further damage to soils and riparian areas does not continue. Motorized recreation has also been reported inside the Wilderness, a blatant and unacceptable violation of the Wilderness Act of 1964. A strong wilderness character monitoring effort would substantiate and quantify impacts from grazing and off-road vehicle and snowmobile trespass so actions could be taken to address those impacts. Jet-boating on the Main Fork of the Salmon River can disrupt a primitive experience, too. 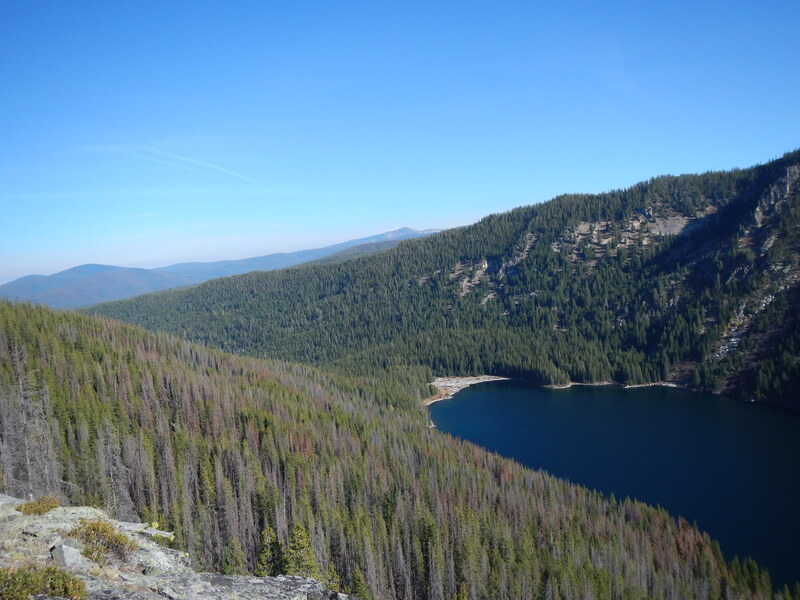 The Gospel – Hump Wilderness is contiguous to the Frank Church – River of No Return Wilderness and should be managed as a single unit, similar to the Bob Marshall Complex in Montana. Unified management would insure that this Wilderness receives adequate funding and the attention it deserves.